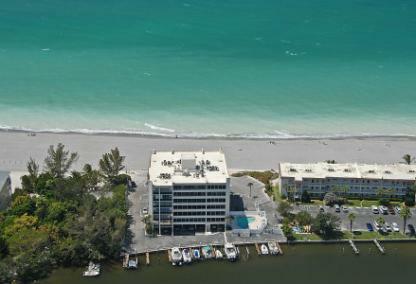 Fisherman’s Haven is an exclusive condominium community situated on the south end of Siesta Key. Nestled between Turtle Beach and the Big Pass Lagoon, this intimate complex provides the perfect retreat to unwind, relax, and recharge whether for a week, or a lifetime. Buyers and investors flock to this beachfront oasis for its renowned location, liberal rental policy, and excellent on-site leasing team. The rental income potential is quite impressive as Siesta Key is one of the top beachfront vacation destinations in the world. Built in 1975, the property consists of 36 condo units nestled in a mid-rise building with the Sarasota Bay on one side and The Gulf of Mexico on the other. Each residence provides breathtaking sunrise and sunset views. Units in Fisherman’s Haven offer a variety of well-designed floor plans, from a 1,450 two-bedroom apartment to a lavish three-bedroom condominium with 1,710 square feet of living space. There are plenty of amenities including a heated pool, private boat docks with kayak storage, beach access, volleyball, horseshoe pits, and picnic areas. Fisherman’s Haven sits on the secluded Turtle Beach, providing a private and relaxing beach experience. 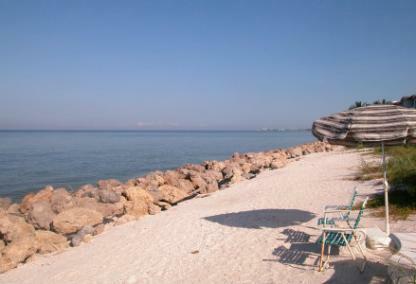 However, the Siesta Key Public Beach is only minutes away offering a host of additional amenities. Rated as “The Best Beach in America” in 2011 by Dr. Beach, Crescent Beach includes many other facilities including volleyball courts, basketball, tennis, nature trails, picnic areas, and a shaded playground. There are several rental shops along the island as well, supplying everything from boats to bicycles. 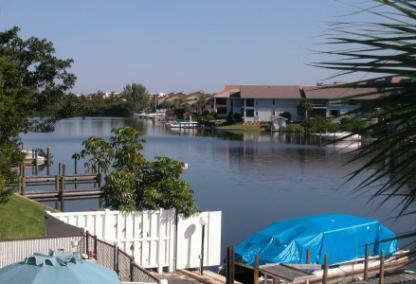 While Fisherman’s Haven may feel secluded, it is convenient to two commercial districts. With Crescent Village Shops and the Siesta Key Village in proximity to the property, residents and guests have immediate access to a post office, and grocery as well as a variety of shops, restaurants, and exciting entertainment. The Village is not only popular with tourists, but locals alike. Sunday mornings start out with a Farmer’s Market and the day concludes with the Sunday evening drum circle on the beach. The north Stickney Point Bridge is just minutes north from Fisherman’s Haven with easy access to the mainland with all of its conveniences. Here, there are gourmet food markets, restaurants, and retailers. Sarasota is world renowned for its beautiful scenery, culture, and thriving arts community. In fact, it tops many lists as one of the best places in the country to live. The sophisticated downtown Sarasota and St Armand’s Circle are within a short drive offering an abundance of restaurants, upscale shopping, and many popular sites. Sarasota is home to the Marie Selby Botanical Gardens, Sarasota Opera, Sarasota Ballet, The John Ringling Museum of Art, and the Asolo Repertory Theater, to name only a few.